Let us be your best kept secret. We’ve put in the work so you can enjoy an evening with your guests. 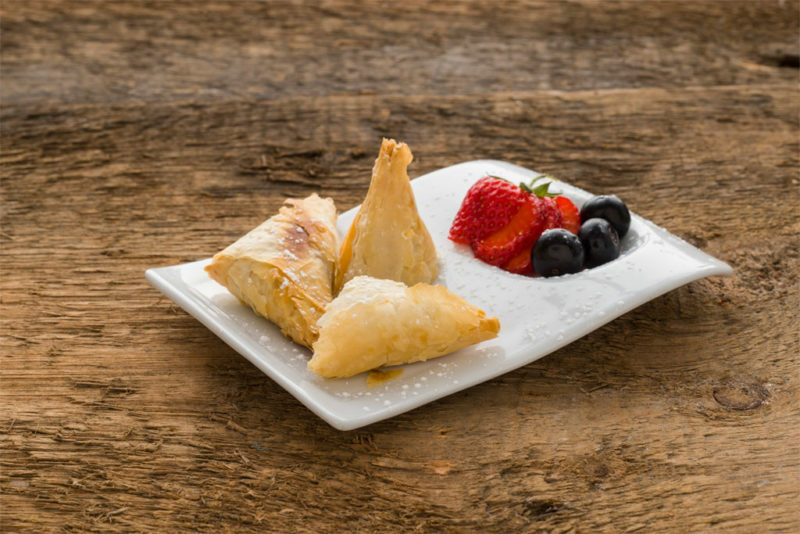 All of our appetizers are made with the finest and freshest local ingredients. Just heat, arrange, and serve. Choose from 5 of the following. All pieces are large appetizer servings, recommended serving suggestion is to cut in half after baking for a total of 32 servings per order. Cheese Puffs: Melt in your mouth cheese bundles featuring 6 local artisan cheeses. Ham and Cheese Puffs: Slow roasted ClearWater Farm smoked ham and bacon with 6 local artisan cheeses. 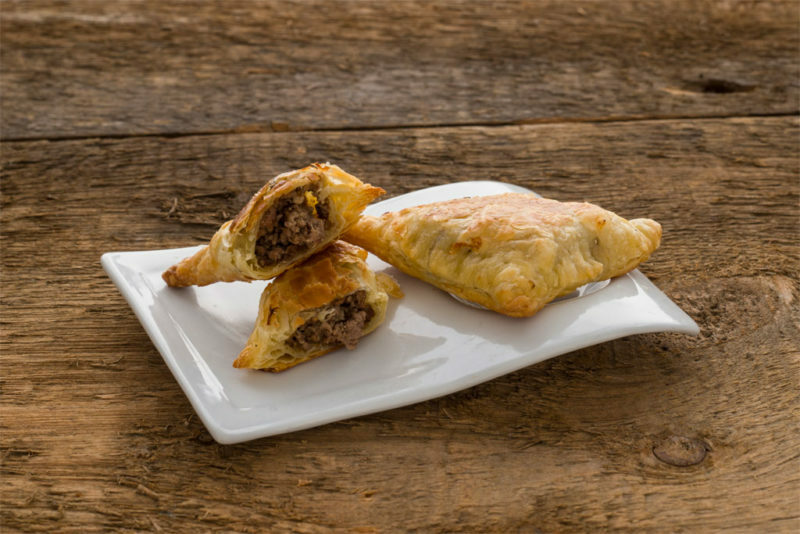 Beef Brisket Bundles:Slow braised beef brisket stuffed into buttery and flaky puff pastry. Set oven to 350-375 degrees and bake for 20 minutes or until golden brown. 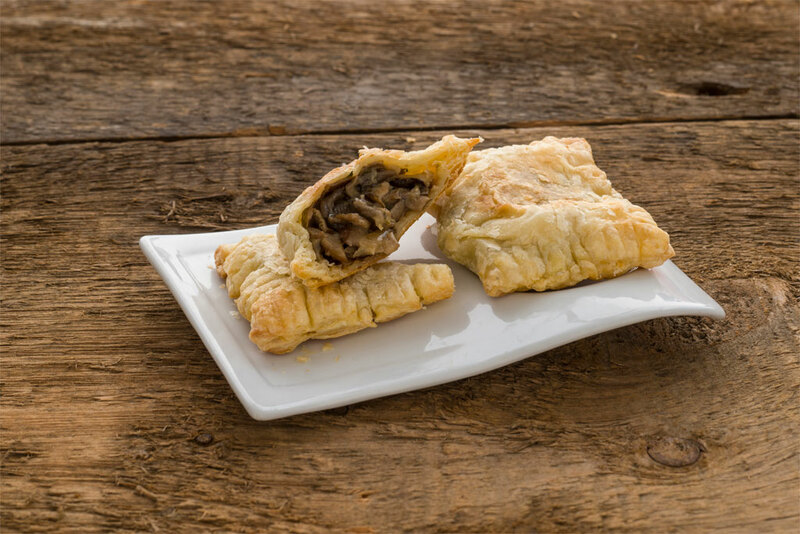 Pork and Mushroom Bundles: ClearWater Farms pork sausage with local wild mushrooms in a flaky puff pastry. Set oven to 350-375 degrees and bake for 20 minutes or until golden brown. Curried Chicken with Mango Chutney: Savory and sweet all in one bite. 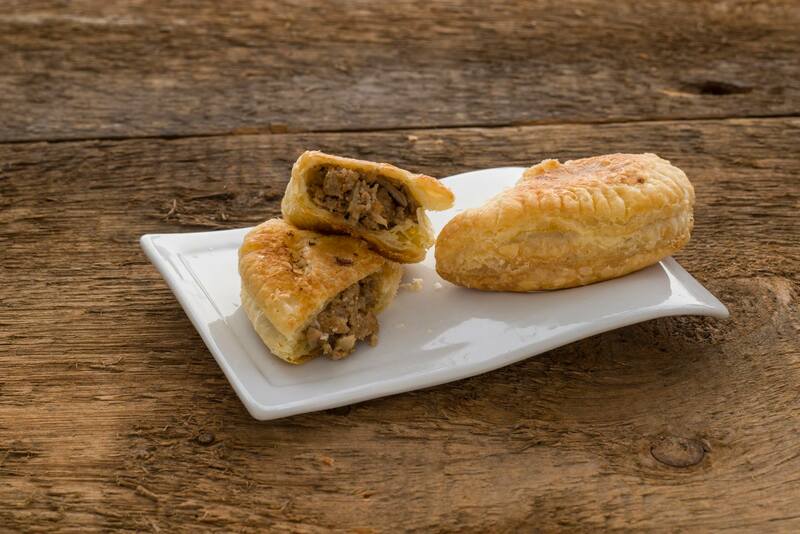 Spiced minced chicken tossed in our signature curry sauce with mango chutney all wrapped up in a flaky phyllo bundle. .